In the Japanese Summer I travelled to Sapporo to cycle tour the coast road around Hokkaido. I stayed at Waya Guetshouse while in Sapporo and it was an awesome place to stay. They helped me with finding things in the city for the cycling trip and i was able to leave my bike box with them. Waya was clean and safe and the bar was an awesome way to meet some locals. 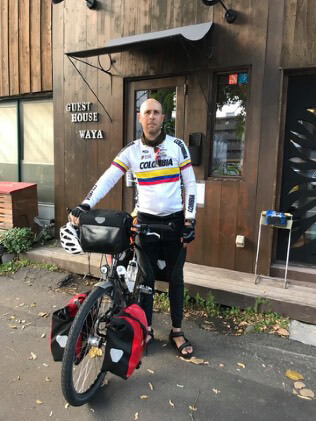 I highly recommend Waya Guesthouse to anyone staying in Sapporo and i’ll be back soon to cycle some routes through the interior.